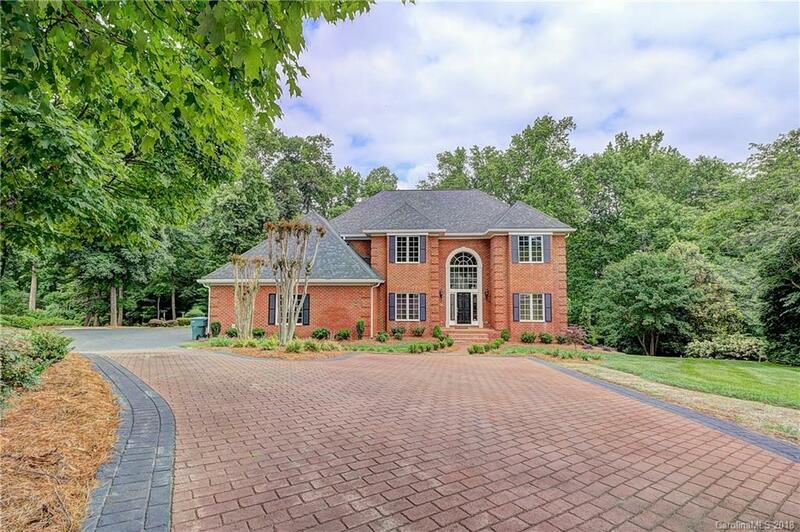 Beautiful, spacious home in a prominent neighborhood on the 13th hole of the Gaston Country Club. Home has been tastefully updated with no occupants since the renovations. Absolutely stunning kitchen - new custom cabinets, high grade unique hammer finished granite, large island w/ hand wash sink, industrial quality appliances - Wolf 48” double oven/6 burner/gridle SS gas range w/ pot filler & Wolf hood vent, huge Wolf Sub Zero SS refrigerator, built in microwave, wine/mini fridge, & dishwasher. Home features formal dining room, large laundry, open 2 story foyer, and butlers pantry. 3 bedrooms on upper with master suite featuring ceramic floors and shower, granite, claw foot tub, and ample closet space. Large finished basement with granite counter top bar, ceramic tile flooring, and covered patio with brick pavers. Exterior features illuminated landscaping, large garage, creek, and huge deck overlooking the golf course. This home has all the amenities and then some; don’t miss this one!